June | 2013 | The Sassy Spoon: Fun Food! This is one of my favorite ways to make ribs. 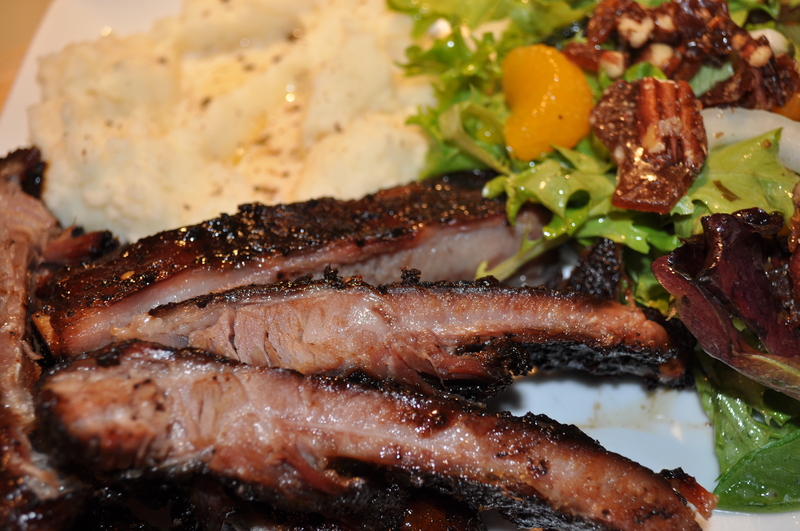 It is based on the ribs at the Brooklyn Restaurant, Fatty Cue. 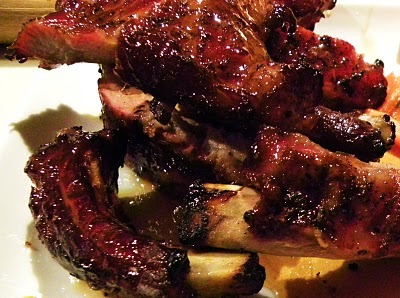 Fabulous flavors from Asia and succulent meat with a hefty bite and amazing sauce on the side.Here is what I have learned about really great ribs:#1 You do NOT want fall off the bone ribs, those are ribs smothered and cooked in a way that loses much of the flavor and all of the bite of a good rib. #2 When smoking (my favorite way to do ribs) you need to take time, do it slowly and in the end, you must have a smoke ring when you bite into it. #3 My favorite ribs are those cooked with Malaysian/Asian elements. #4 Sauce is good, but it is not the key element and I usually do not sauce my ribs, but serve sauce on the side, though these ribs end up being lacquered with a glaze at the end of the cooking process. I have a Digitally controlled Bradley Smoker, so I used it, but this can also be done using the indirect method on a grill and with a smoke box in the grill. I did finish my ribs off on the grill, just to get a nice char on the exterior. Here is the recipe. 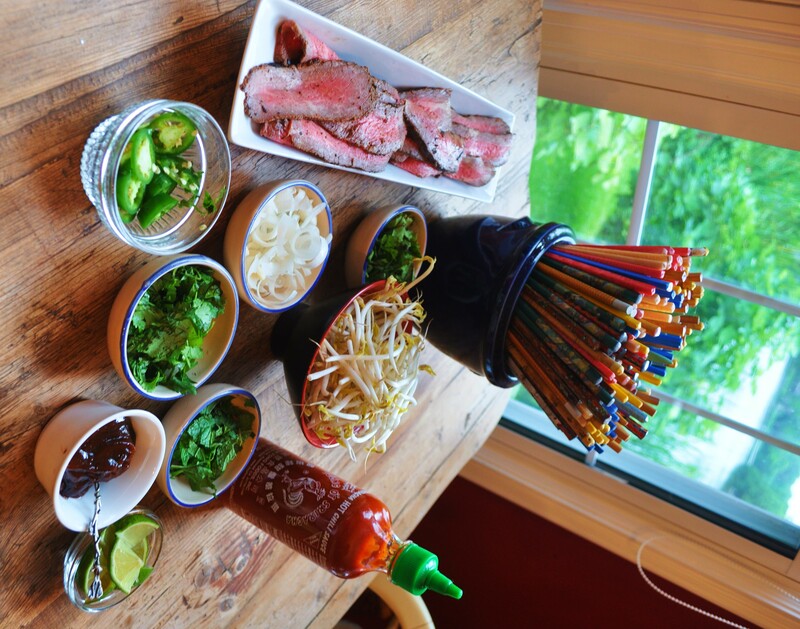 There is some wiggle room if you want to personalize it, but one thing you cannot remove or change is the element of the Fish Sauce. Red Boat being the preferred brand. This takes an entire day to do. 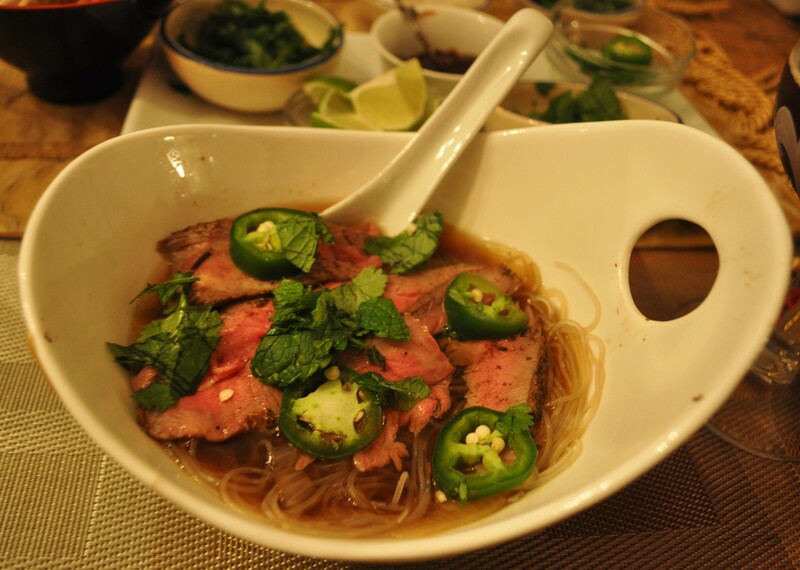 I added the star anise, lemon grass, kaffir lime leaves, chiles and increased a few things like the amount of garlic. This makes a lot of brine, I halved the recipe because I was using just one rack of ribs, this formula would work for two racks, maybe even three if you cut them up into sections as I did. 1. Combine 1 1/2 cups fish sauce with the garlic, shallot, lemon grass, kaffir lime, star anise, chile, black pepper and sugar in a large pot. Add at least a gallon of water, then cover and bring to a boil over high heat. Reduce the heat and simmer for 30 minutes. Remove from the heat, place in a nonreactive container and chill. Place the ribs in the brine for at least 6 hours and no longer than 12. 2. Remove the ribs from the brine and dust lightly with ground Indonesian long pepper. * Steps 3 & 4 were replaced by me using my digital smoker. I just set it on 220 degrees, put the Jim Beam Whiskey Barrel Wood disks in and let it go. If you do not have a smoker that you can control the heat with , use steps 3 & 4. I did char the ribs on the grill. 3. In a grill with a cover, build a small fire to one side, making sure all the wood or charcoal becomes engulfed in flame. When the flames begin to die down, leaving flickering coals, place the ribs on the grill on the side without fire. Do not let the flames touch the meat at any time. 4. Cover the grill, vent slightly and cook, checking the fire every 30 minutes or so and adding a bit more fuel as necessary, for about 5 hours at around 220 degrees, until the meat recedes from the bone and its internal temperature is at least 170 degrees but no more than 180. 5. Meanwhile, make a glaze. Combine the palm sugar and 3/4 cup water in a small pot over a medium flame, and heat until the sugar melts. Combine that simple syrup with the remaining 1/2 cup fish sauce. 6. When the ribs are ready, glaze lightly and sear on the grill for about 5 mintues, then heavily glaze them again and serve. I served them with grilled corn on the cob, grilled smashed potatoes and parsley carrots. Salad on the side. Asian Slaw would be great with them too. 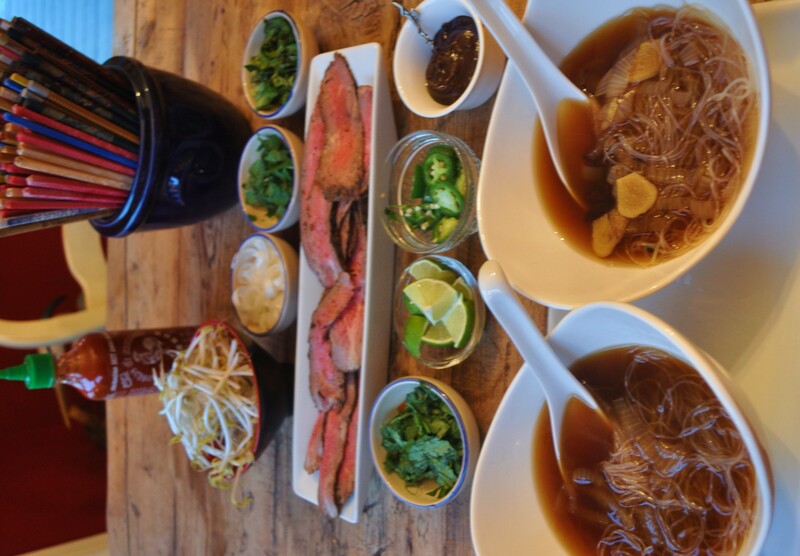 Note: Red Dragon fish sauce, long pepper and palm sugar can be found at most Asian Markets or at Amazon.com or Kalustyans.com. Really good cherries are hard to beat for flavor and beauty. This application is something that goes well with duck, pork or chicken as a side dish, but also is good as a dessert over ice cream. It is super simple. You just have to find some really super cherries! I got mine from Whole Foods just as the cherry season was beginning. I used bing cherries but any large firm variety would work for this. 2. Rinse the cherries with cold water and pad them dry gently with a kitchen towel. 3. Place cherries in a bowl and toss them with olive oil and balsamic vinegar, and season generously with salt and pepper. 4. 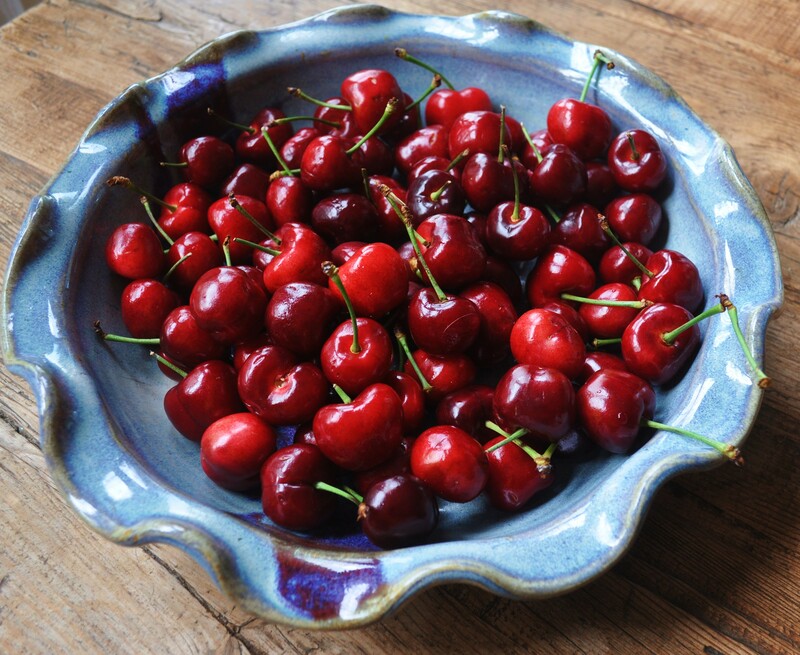 Transfer cherries to a non-reactive baking dish (glass or porcelain are ideal) with the stem standing up. Preferably, the cherries will fit really close to one another. Cover the baking dish with aluminum foil. 5. 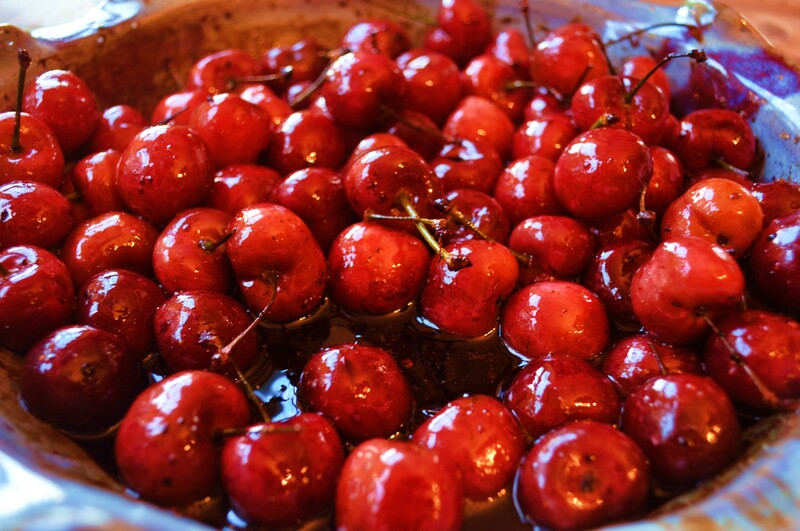 Roast the cherries in the oven for 20 minutes or until they start to release their juices. Remove the foil, and place the baking dish back in the oven for another 5 minutes to allow the juices caramelize a bit. 6. Remove from the oven and let them sit for 5 minutes. Serve cherries as desired spooning some of the juices over the cherries.